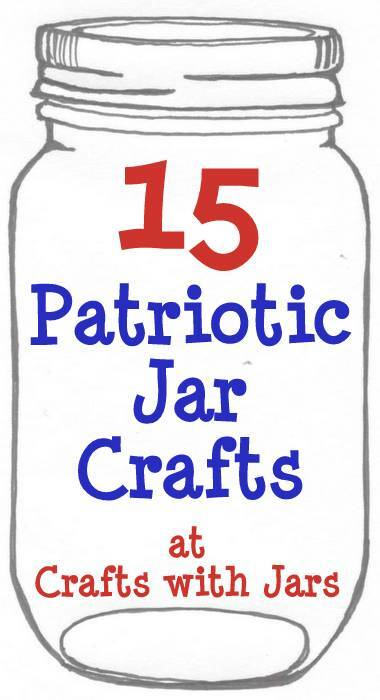 Are you making some patriotic crafts for your summer home or parties? Don't forget to use jars in all of those celebrations. 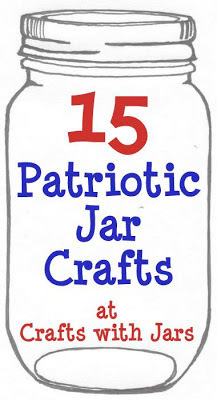 I have gathered up 15 of the best Patriotic Jar Crafts for you today. Everything from cupcakes in a jar to centerpieces to lanterns and more! Enjoy! Loved these and want to see even more jar crafts? Stick around here for features and round ups every week Also be sure to follow our mason jar crafts Pinterest board for these and even more mason jar crafts.